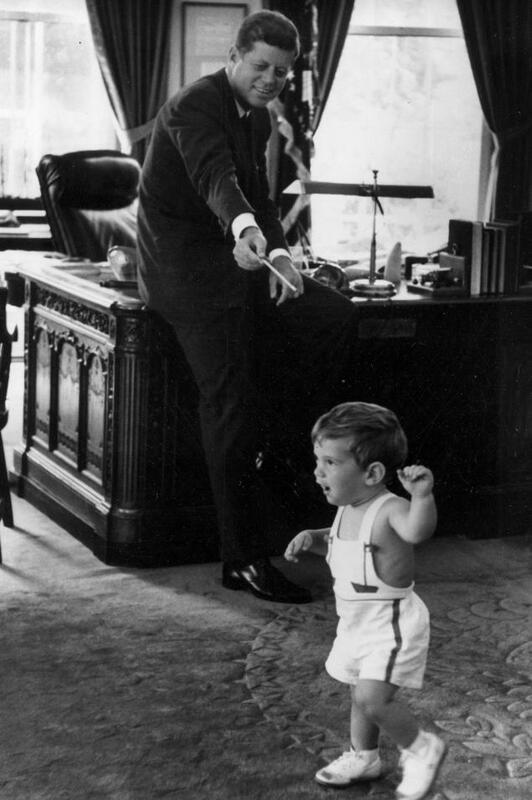 While watching and reading all the reports on JFK the past week, I saw these photographs. They reminded me of an earlier and simpler time when Leadership, Commitment and Hope prevailed. It was 3:03 pm on Friday, November 22, 1963 when I came out of class at Hunter College. Students were gathered around the student union building, some crying, but most talking in somber tones. My friends and I immediately went to our Fraternity House and for the next days we watched as events unfolded. We didn’t really comprehend the magnitude of our loss/the countries loss at that time, we were just in shock and disbelief. All Americans and the World grieved and we all were changed in some way that day. 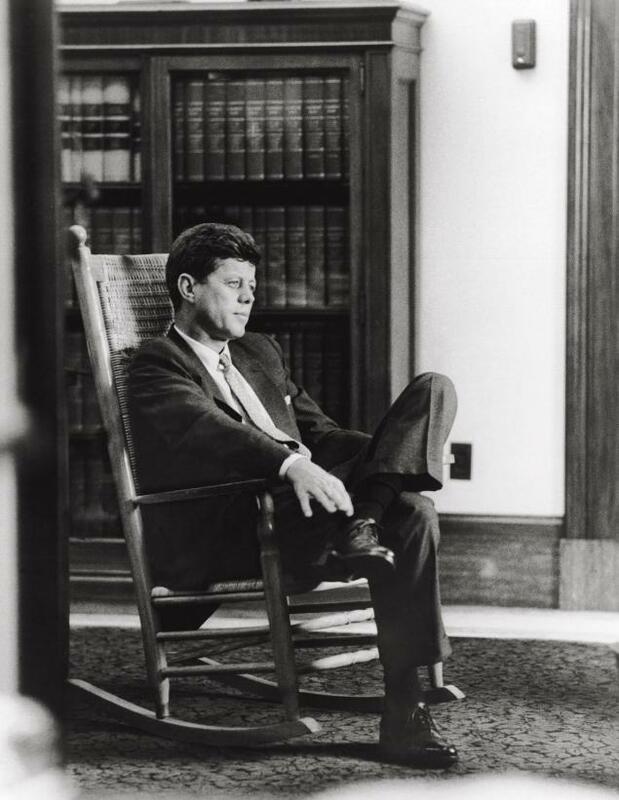 My most vivid memories are of JFK above, in the rocking chair, instilling confidence and hope and then below as a father, balancing his life’s duties. George Washington, Thomas Jefferson, Abraham Lincoln, Franklin Roosevelt and Kennedy, all exemplified “Hope for the Future” and demonstrated traits of responsibility and accountability. May God Bless the memory of JFK and may we always remember the ‘Camelot” that once was and could have been.